In line with our strategic target to contribute to the achievement of food security in the Kingdom and filling the food gap in the region, we have established an integrated project for the production of poultry, beginning with their breeding to the end product-chicken ready for the consumer directly. In line with our strategic target to contribute to the achievement of food security in the Kingdom and filling the food gap in the region, we have established an integrated project for the production of poultry, beginning with their breeding to the end product-chicken ready for the consumer directly. 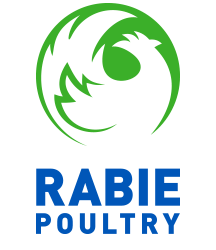 Rabi Poultry factory includes housing, industrial and technical quarters and is totally quality control devoted company.